American astronaut John Crichton, along with his shipmates aboard the sentient spacecraft Moya — Aeryn Sun, DArgo, Rygel, Zhaan, and Chiana — arrive in a system inhabited by two different civilizations. Desperate for supplies, Crichton, Zhaan, and Chiana land on the Kylei, a tropical planet populated by a spiritual society. 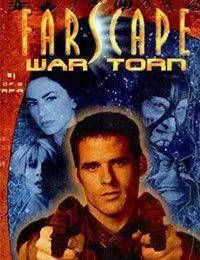 Meanwhile, Aeryn, DArgo, and Rygel go to Garangee, a rocky planet with hard, industrious people.The Kylei and the Garangee have been at war over a third world, Tivara. Both claim it is their holy land, a place where infinite knowledge can be gained, knowledge that Crichton and company must have. Moyas crew must tread a delicate path to avoid fanning the flames of war between the two opposing civilizations, while attempting to gain access to the information that could lead the travel weary crew back to their homes.